I've got the Gardenia one of these and it lasts ages and smells really nice. They didn't have others when I went last but will check again, cheers. They had only just put these ones out at my local. I LOVE Yankee candles, but they do get quite costly so these are a great alternative! I recommend these they are great for 2.99. Ive have the cinnamon one and really like it and as someone said they last for ages. 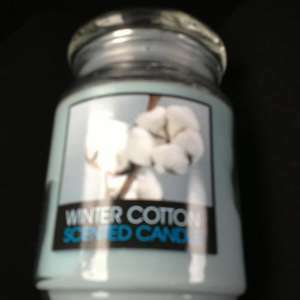 how well do they compare to a yankee candle though? which fragrance would you recommend? Boring and unoriginal scents, but good price. Voted hot. Yea shame they're not online. Does anyone know the proper make/brand as I might have a look on Ebay and check their prices? Yea shame they're not online. Does anyone know the proper make/brand as I … Yea shame they're not online. Does anyone know the proper make/brand as I might have a look on Ebay and check their prices? We are just coming to the end of ours. It has lasted an absolute age, and that's not from lack of use ! I would have got a few but there's no stores anywhere near me. I hate to say this (as the margins are incredible and I detest their prices as much as the next man/woman), but nothing comes close to Yankee. I may give these a go, but no other candle I have tried has given anything like the fragrance strength and burn hours of a Yankee. Even the review above implies the fragrance isn't strong and one of the comments points to my concern that you have to literally put it to your nose to get any of the fragrance. But....at £2.99 I would give it a whirl. I agree, got one today and I'm really impressed as I usually buy a Yankee Candle! Very scary mine has just exploded and went on fire. Thankfully i was in the room and able to put out the fire. i am just about to call Home Bargain and tell them.